Advocate content typically receives 10X more engagement than brand-paid content and 7X more engagement than content shared on company channels. That’s why Fortune 500 brands are powering employees and brand ambassadors to create brand content, increasing brand awareness and ROI. But how are they motivating advocates to create content? What kind of brand content do advocates create and how can brands leverage this content for their marketing campaigns? 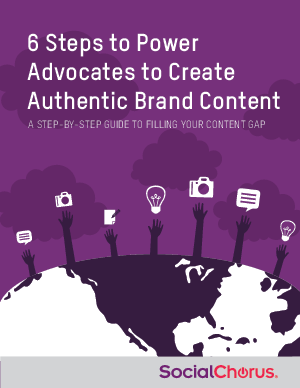 Download this step-by-step guide for everything you need to know about advocate created content.